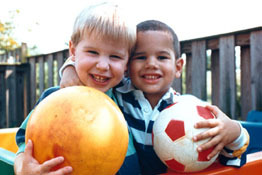 An interesting study was published in the October 2013 issue of Optometry & Vision Science. It addresses a situation well known to many contact lens-wearers. Over the course of a day of contact lens wear, discomfort increases for some people. And for some of these people, changing or replacing the lens to a fresh lens part way through the day does not help. Why is that? This study may have an answer and suggests that it is not the lens, it's physical changes happening on the surface of your eyes. The study examined the comfort reported by patients throughout and at the end of a 10-hour day of wear. Subjects were surveyed on a 0–100 scale for comfort on two separate days. On the first day, nothing was done to the lenses they wore throughout the day, and study participants reported decreasing comfort during the day. This result was expected, as many optometrists observe this in the clinic. Doctors have long argued about the cause of this discomfort. Was it due to ill-fitting lenses? Or was it due to changes in the surface of the eye caused by contact lens wear? To answer that question, on the second day the lenses were removed after 5 hours of wear. After removal, either the same lens was reinserted, or it was replaced and a new lens. The assumption was that if lens comfort improved by removing and replacing the same lens, then the surface of the eye was to blame. On the other hand, if comfort improved after switching to a new lens, then the fit of the lens may be at fault. The control group wore lenses continuously for 10 ours with no reinsertion or switching to a new lens. The results showed that there was no difference between the control group (that wore the lenses continuously for 10 hours) and either the group that removed and reinserted the same lens or the group that switched to a new lens. This lead the researchers to conclude that the increasing discomfort throughout the day was not related to the lenss. They suggested that the likely cause of increasing discomfort was a "fatigue-like response in one or more ocular tissues or stimulation of ocular surface nociceptors induced by the presence of the contact lens." Yet another study supporting the use of orthokeratology (also known as corneal reshaping) appeared in the November 2013 issue of the scientific journal Contact Lens. The new study found that long-term satisfaction rates with orthokeratology treatment were high. We have provided orthokeratology at our Vancouver eye clinic since we opened. Orthokeratology is a safe and effective vision correction method where patient wears a lens retainer at night that reshapes the cornea of the eye. The result is clear vision the next day without the need to wear corrective lenses during waking hours. A number of studies have also shown that orthokeratology is effective in slowing or stopping myopia progression and that is save and effective in children. The researchers who conducted the new study used a questionnaire where patients rated their visual experience and satisfaction levels with orthokeratology on a scale of 0-10. The results of the study showed that light distortion in low light conditions decreases over time and decreases more quickly in younger patients and in patients with lower amounts of myopia. Predictably, visual performance declined after a patient skipped a night of lens retainer wear but this was usually tolerated. In addition, the majority of patients report that they skipped overnight wear at least 1 night per week, but tolerate the resulting transient decrease in vision. Overall satisfaction was high, even after skipping a night of lens wear. More than 50% of patients skipped lens wear at least 1 night per week. The most common wearing pattern was 6-8 hours a day for 72.7% with 54.5% of patients wearing lenses every 2-3 nights only. Subjective vision scores after lens removal was 9.1 ± 1.1 after having worn the lenses and 8.1 ± 1.4 after skipping lens wear for 1 night. Subjective vision scores before lens insertion at the end of the day was 6.9 ± 2.0 and 5.8 ± 2.4, respectively. The number of hours until noticeable blur reduced with increased level of baseline myopia (r = 0.396; P < 0.001). Research presented recently at the 2013 Meeting of the American Academy of Ophthalmology in New Orleans, shows that women who have taken oral contraceptives for three or more years are twice as likely to suffer from glaucoma. Glaucoma is one of the leading causes of blindness and vision lost to glaucoma is lost permanently. 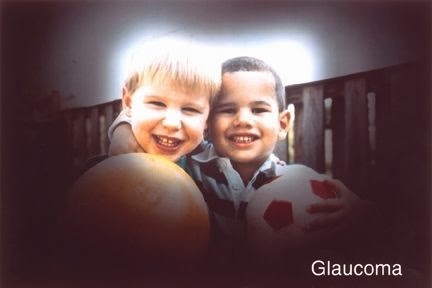 Glaucoma slowly takes your vision, starting at the periphery and working its way to the center. Many people with glaucoma don't know that they have it until it is too late. The only way to detect glaucoma early enough for effective treatment is through a regular eye exam. 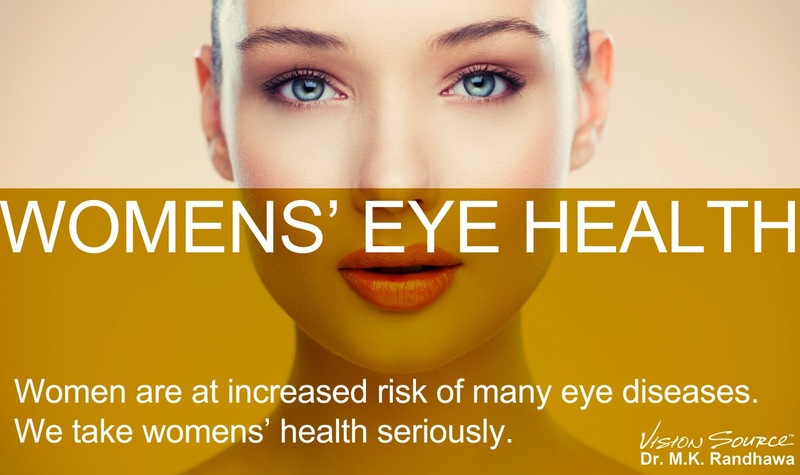 The study looked at 3,406 American women aged 40 years or older who completed a vision and reproductive health questionnaire and underwent eye exams. 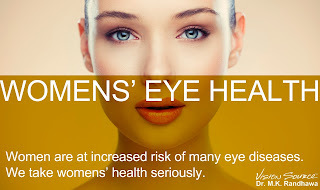 The researchers found that females who had used oral contraceptives, no matter which kind, for more then three years were 2.05 times more likely to also report that they had also been diagnosed with glaucoma. The study means that women who have taken oral contraceptives for more than three years should have a regular eye exam to screen for the early onset of glaucoma. Other risk factors for glaucoma include elevated pressure inside the eye, visual field deficits, family history, South Asian or African ancestry, a history of myopia and other risk factors. See your eye doctor if you are concerned. sharp central vision. This is the type of vision that is necessary for tasks such as reading, driving, and recognizing faces. 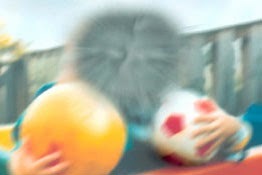 Advanced AMD can lead to significant vision loss and is the leading cause of blindness in North America. Optimal nutrition has been shown to be effective in slowing or preventing the advanced stages of AMD, allowing patients to keep their vision for much longer than would otherwise be the case. The most highly regard studies are known as the AREDS studies. There are now two studies, known as AREDS and, the latest study (published in 2013), AREDS2. The purpose of the AREDS2 study was to evaluate the efficacy and safety of particular nutrient supplementation: lutein plus zeaxanthin and/or omega-3 long-chain polyunsaturated fatty acid supplements in reducing the risk of developing AMD. The study also assessed the effect of reducing the amount of zinc and of omitting beta carotene from the original AREDS formula. These were the modifications that were tested in AREDS2? The AREDS2 results for the average American with a suboptimal daily intake of lutein/zeaxanthin showed a statistically significant prevention of catastrophic vision loss, primarily neovascularization. That was an incredible result, favoring a new AREDS2 formulation minus beta carotene but with lutein plus zeaxanthin. AREDS2 showed that there was an approximate 34% reduction overall in the risk of premanent vision loss. This means that with optimal nutrition many hundreds of thousands of people could have avoided vision disability that has made them illegal to drive and that requires them to take injections that costs hundreds of dollars each time. Not only does optimal nutrition prevent serious eye disease, nutrients such as carotenoids have been shown to improve visual performance by providing patients with better contrast sensitivity and shortened glare recovery and better visual processing. The carotenoids lutein and zeaxanthin have also been shown to improve cognitive function in the elderly. Below is an excerpt from the press release issued by the National Eye Institute on the results of the AREDS 2 sudy explaining that adding lutein and zeaxanthin to the original AREDS formulation had the beneficial result of a greater reduction in the risk of developing AMD when beta-carotene is removed from the formulation because beta-carotene blocks the absorption of lutein and zeaxanthin. Therefore the optimal formulation is the include lutein and zeaxanthin but to remove beta-caroteine. Beta-caroteine also increases the risk of lung cancer in smokers or former smokers. This is a formulation that is good for everyone, as pointed out by one of the researchers quoted below. In the first AREDS trial, participants with AMD who took the AREDS formulation were 25 percent less likely to progress to advanced AMD over the five-year study period, compared with participants who took a placebo. In AREDS2, there was no overall additional benefit from adding omega-3 fatty acids or a 5-to-1 mixture of lutein and zeaxanthin to the formulation. However, the investigators did find some benefits when they analyzed two subgroups of participants: those not given beta-carotene, and those who had very little lutein and zeaxanthin in their diets. association between beta-carotene and risk of lung cancer among former smokers. About half of AREDS2 participants were former smokers. “Removing beta-carotene simplifies things,” said Wai T. Wong, M.D., Ph.D., chief of the NEI Neuron-Glia Interactions in Retinal Disease Unit and a co-author of the report. “We have identified a formulation that should be good for everyone regardless of smoking status,” he said. Adding omega-3 fatty acids or lowering zinc to the AREDS formulation also had no effect on AMD progression. More than 4,000 people, ages 50 to 85 years, who were at risk for advanced AMD participated in AREDS2 at 82 clinical sites across the country. Eye care professionals assess risk of developing advanced AMD in part by looking for yellow deposits called drusen in the retina. The appearance of small drusen is a normal part of aging, but the presence of larger drusen indicates AMD and a risk of associated vision loss. Over time, the retina begins to break down in areas where large drusen are present during a process called geographic atrophy. AMD can also spur the growth of new blood vessels beneath the retina, which can leak blood and fluid, resulting in sudden vision loss. These two forms of AMD are often referred to as dry AMD and wet AMD respectively. Click here for the FAQ page on AREDS2 from the National Eye Institute.